We feel very honoured to have received the Communitas Award for Excellence in Skill-Based Community Service. Client: Gloria’s Girls at the Jewish General Hospital – A charity benefiting ovarian cancer research and patient care. We are privileged to support the group with pro bono services from graphic design (logo design, brochures, invitations, etc.) to digital outreach (e-blasts, social media). The JPL’s Children Library has recently been restructured to better answer demand in the community and was renamed “Youth Space”. Mandate: To draw attention to this new section and the new activities/programs it offers to pre-teens/teens. Solution: We re-designed the semi-annual program brochure with two covers on opposite ends – one for youth, the other for adults to enable quick access per target audience. Both covers were designed with a spring-summer colour scheme and theme in mind. for JPL Spring Program Brochure. Dallas, TX (November 1, 2017) – MarCom Awards announced winners in the 2017 international creative competition for marketing and communication professionals. There were about 6,500 entries from across the Unites States, Canada and 17 other countries. Dallas, TX (November 1, 2016) –MarCom Awards today announced winners in the 2017 international creative competition for marketing and communication professionals. There were about 6,500 entries from throughout the Unites States, Canada and 17 other countries. 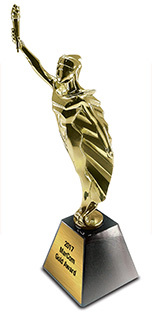 New York, NY (October 20, 2015) – The winners of The 2015 Davey Awards have been announced by the Academy of Interactive and Visual Arts today. With nearly 4,000 entries from across the US and around the world, the Davey Awards honors the finest creative work from the best small agencies, firms, and companies worldwide. Please visit www.daveyawards.com to view the full winners list. The Davey Awards is sanctioned and judged by the Academy of Interactive and Visual Arts, an invitation-only body consisting of top-tier professionals of acclaimed media, advertising, and marketing firms. Please visit www.aiva.org for a full member list and more information. Current membership represents a “Who’s Who” of acclaimed media, advertising, and marketing firms including: Code and Theory, Condé Nast, Disney, GE, Keller Crescent, Microsoft, Monster.com, MTV, Push., Publicis, Sesame Workshops, The Marketing Store, Worktank, Yahoo!, and many others. Entries are judged to evaluate distinction in creative work. In determining Gold and Silver winners, entries are judged on their merits based on a standard of excellence as determined by the AIVA, considering the category entered. 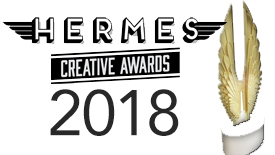 The Hermes Creative Awards is administered and judged by the Association of Marketing and Communications Professionals (AMCP). This international competition awards creative professionals involved in the concept, writing and design of traditional materials and programs, and emerging technologies. Over 6,000 entries were submitted this year from advertising agencies, corporate marketing and communication departments, PR firms, design shops and freelancers. 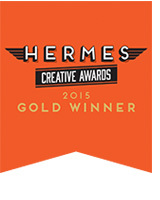 for the graphic design of the LDI’s Annual Report. Microsite (B2B) for the Trade Wprkshops of Tourism Ireland. 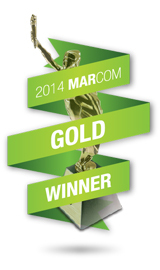 The MarCom Awards were established by the Association of Marketing and Communication professionals (AMCP). It grew to one of the largest competitions in the World as a means to honor outstanding achievement and service to the communication profession. MarCom Awards is a creative competition for any individual or company involved in the concept, writing and design of print, visual, audio and web materials and programs. Entries come from advertising agencies, PR firms, design shops, corporate marketing & communication departments, production companies and freelancers. The MarCom competition has grown to perhaps the largest of its kind in the world with about 6,500 entries this year. A look at the winners shows a range in size from individuals to media conglomerates and Fortune 50 companies. for the JPL’s refreshed corporate identity and campaign 100 Years of the JPL–The Stories We Tell. Donors’ Magazine, The Art of Surgery, Jewish General Hospital.